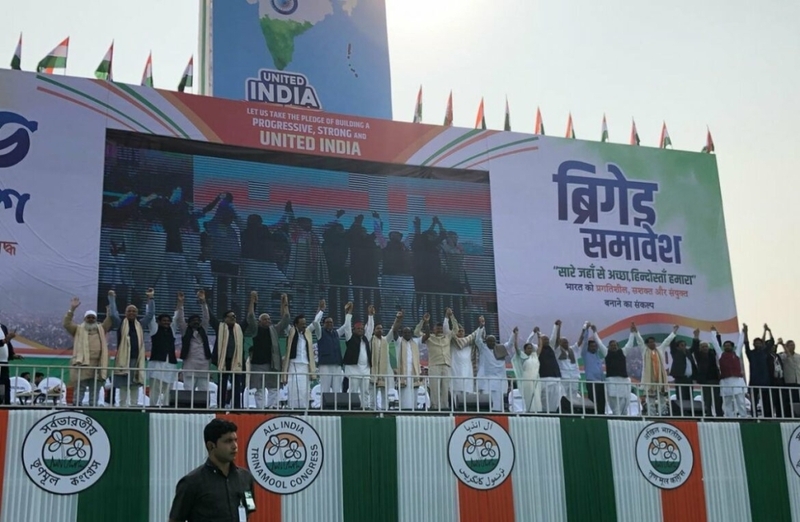 KOLKATA, India — India’s main opposition parties joined forces against Prime Minister Narendra Modi on Saturday at a rally which attracted hundreds of thousands of people months ahead of elections. The 23 regional groups said they forged a common front to stop Modi’s Hindu militant Bharatiya Janata Party, which beat the main opposition Congress and regional parties in 2014. Arvind Kejriwal, chief minister of Delhi, said Modi had failed to fulfill his promises including job creation. “Modi had promised to create 20 million jobs a year but after a faulty launch of national sales tax and demonetization in 2016 more than 10 million jobs were lost,” he said. India’s unemployment rate hit 7.4 percent in December, highest in 15 months, while the number of people employed fell by nearly 11 million from a year ago, a report by the Mumbai-based Center for Monitoring Indian Economy, said this month. Politicians at the rally, whose organizers said was attended by more than a million people, said India’s growth had slowed during Modi’s term and their first priority was to defeat him, adding a replacement would be decided after the elections.